The Cumberland Beagle Club provides a fishing pond, stocked with trout, for its members and their family. Also, the club holds an annual Kid’s Fishing Derby event (May) that is open to the public. Check our calendar for upcoming dates. If you have any questions, feel free to contact us. 1. Fly fishing only prior to the 1st of June. 2. Live bait and spinning lures are allowed (June 1 – Sept 30). 3. No corn or cheese allowed at any time. 4. No ice fishing or ice skating. 5. No swimming is allowed in the pond at any time. 6. Fishermen shall comply with all Rhode Island licensing and game laws. 7. Only members and immediate family are allowed to fish on club property. NO GUESTS ARE ALLOWED TO FISH. 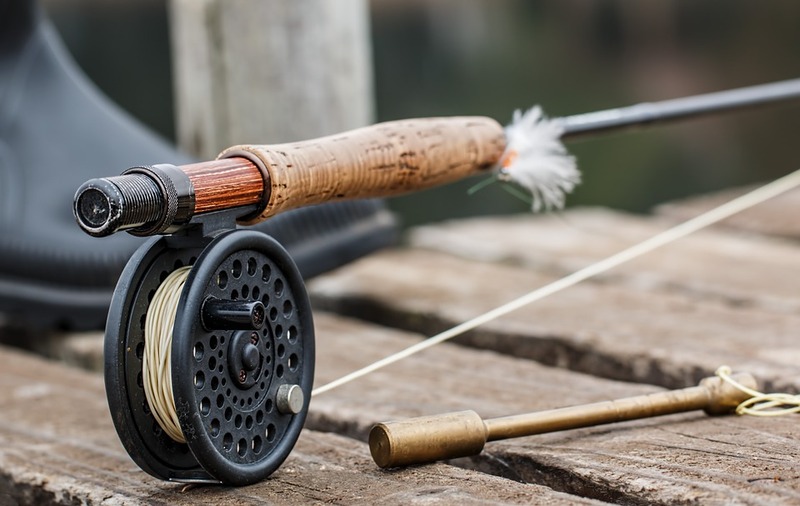 Exception – any child under the age of 12, handicapped or special needs is allowed to fish even if not a direct family member, as long as he/she is accompanied by a club member. 8. All fishermen are required to sign the sign in book located in the clubhouse before going to the pond. All fish caught shall be recorded in the book before leaving the property even if the fish were released. 9. No boats or flotation devices of any kind are allowed on the pond at any time.